…then, from the Nonesuch Records page of the new album, in samples of Greenwood’s recording. Quite a difference, yes? In sound concept, Metheny plays amplified acoustic guitars while Greenwood plays electric guitars. Metheny articulates the melodies with a jazz musicians’s swing, Greenwood with a rock musician’s drive. I found Metheny’s to be more precise and Greenwood’s more euphoric and exciting, but the choice is yours. Why not both? …and which you can sample at the Nonesuch album page in Chow’s recording on the new album. Somehow, and please don’t ask me how, the piece has gotten progressively shorter from “Six Pianos” (24:00) to the live “Piano Counterpoint” (19:50) to the recorded “Piano Counterpoint” (13:44). Your preference, then, may depend on whether, when it comes to Reich’s hypnotic piano writing, more is better, or less is more. In his informative if somewhat worshipful album notes, Nico Muhly quotes Reich as likening this procedure to the many Renaissance masses based on the popular French melody “L’homme armé” (“The Armed Man”). One could less pretentiously, if less prestigiously, have likened Reich’s piece to the thousands of Romantic Rhapsodies, Fantasies and other take-offs on popular operatic tunes (e.g., Pablo de Sarasate’s “Carmen Fantasy”), but whatever. To be blunt, while there’s nothing at all wrong with “Radio Rewrite,” skillfully played by the chamber ensemble Alarm Will Sound, Alan Pierson, conducting, it doesn’t really add much to either Reich’s worklist or Radiohead’s discography. Those who have heard their share of Reich (which I hope is everyone) won’t hear anything new in a piece which, if it were called “Something I Wrote for Alarm Will Sound,” without reference to its source material, would not be worth making a fuss over. Neither should evoking Radiohead’s name on a classical album create much of a stir anymore. But that’s OK; when you’ve reached Reich’s status, not everything has to be a masterpiece. For the present, it’s a good, timely listen, which certainly counts for something. 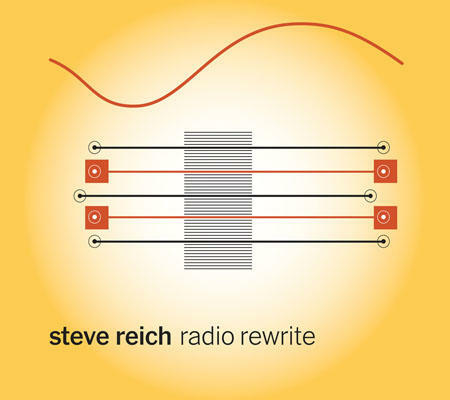 Happy birthday, Steve Reich, and many endlessly varied, slowly transforming returns of the day! You can order the CD or a download here. Don’t even try to go for an mp3, lest you be sentenced to wear an “I Like Crappy Sounding Music” t-shirt in public. P.S. (Added on October 4, 2014): Please permit a fallible critic — oy, is he fallible — to upgrade his opinion of “Radio Rewrite” after a few fresh listens. Contrary to the above, there is something new in Reich deriving his materials from rock music. They lend the three fast sections (marked just that, “fast”) a rhythmic solidity unlike anything you’ve heard up to that point on the album. And two intervening slow sections (likewise marked as such) have a quality of human tenderness rare in Reich. 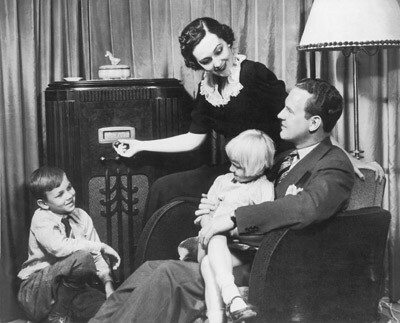 Speaking of “Radio,” this is one of the few Reich pieces I would have considered for my public radio classical show. Any takers, old colleagues?